Civil activist, Rezvaneh Ahmad Khan Beigi, was sentenced to four years and five months in prison. The first trial of Rezvaneh Ahmad Khan Beigi was held on Sunday, February 17, 2019, in the 26th Branch of Tehran’s Court. Health conditions of Rezvaneh Ahmad Khan Beigi have deteriorated in prison as she has been suffering from seizures and epilepsy before being detained. The inspector of Branch 2 of Evin Prosecutor’s Court, Mohammad Nassir-pour, has illegally refused to accept bail for this civil activist and has extended her detention without allowing her lawyer to get involved in the case. The Iranian regime has stepped up pressure on political prisoners including imprisoned civil activists, seeking to create an atmosphere of fear and terrorize a disgruntled and restless society. Sahar Kazemi, an environmental and civil activist and sports coach from Sanandaj, was another one of women activists who has been sentenced to five years in prison by a Sanandaj Court because of her activities. In early February, a former political prisoner, Mahin Akbari, 57, was arrested in a raid on her residence and transferred to the Lakan Prison of Rasht after lengthy interrogations and torture in the detention center of the Intelligence Department of Rasht. Massoumeh Askari, a retired teacher, was sentenced to 5 years in prison on February 18, 2019. 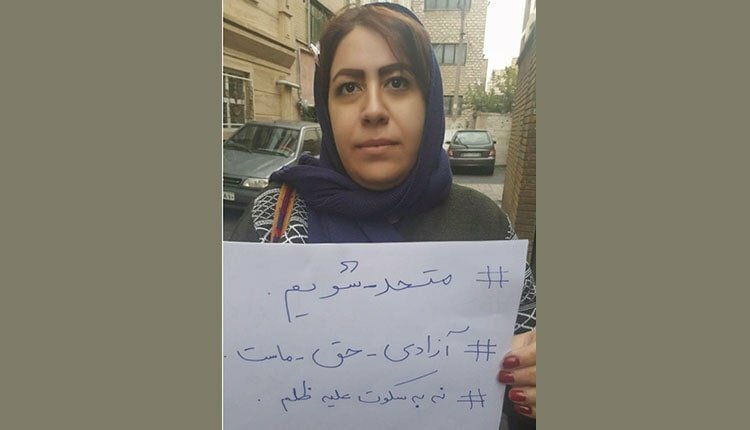 Ms. Askari had been rearrested in December 2018 and held for one month in solitary confinement at Ward 209 of Evin Prison. Human rights lawyer Nasrin Sotoudeh was sentenced to 38 years in prison and 148 lashes after two grossly unfair trials. The 55-year-old human rights lawyer has been detained for her peaceful human rights work, including her defense of women activists and women protesting against the compulsory veil. The scale of arrests, imprisonments and sentences issued for women activists in just 45 days and their cruel treatment reveal the extreme lengths the Iranian regime has gone to crack down on peaceful dissent.